Anycan pops the jar, opens the lid, lifts the cap, twists the top, pulls the ring! Nasty old can openers never grip or open your cans, they&apos;re hard to turn and torture on your wrist. The Shogun easily opens any can, any shape, any size without any effort. Rotate the handle clockwise to open tins and anti-clockwise to release the lid. The lid easily lifts off the tin and will have no sharp edges! We all know how tough it is to open these jars by hand or with a cloth…. Shogun breaks the seal on even the most stubborn of jars. 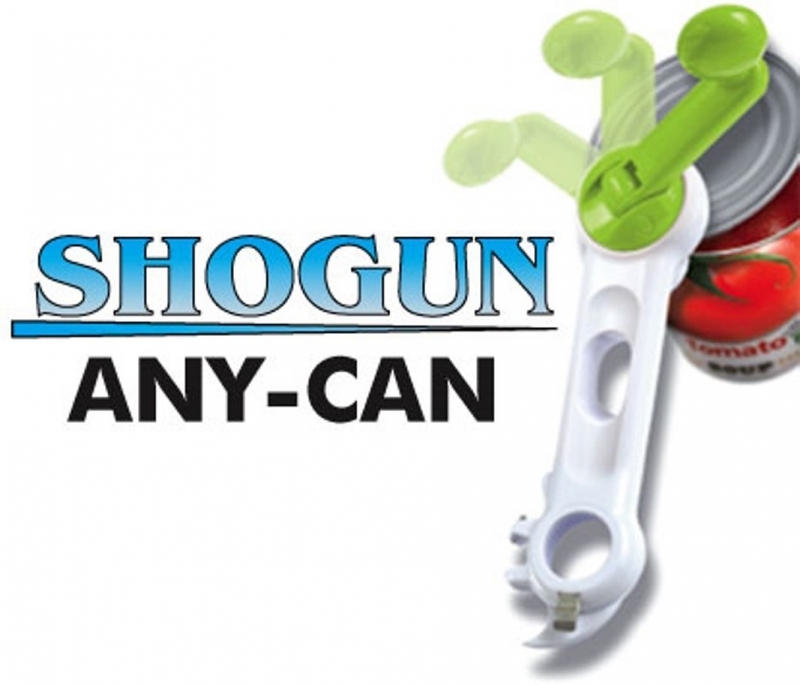 You’ll never break another nail again...on pull tabs or tin tops...Shogun lifts tabs from Coffee and veggie tins. 2 litre bottles can be hard on your hands, but no problem for the Shogun. Open them instantly with a simple twist! There’s even a built-in bottle top opener so you can enjoy your favorite drinks. You’ll never have to ask for help again! 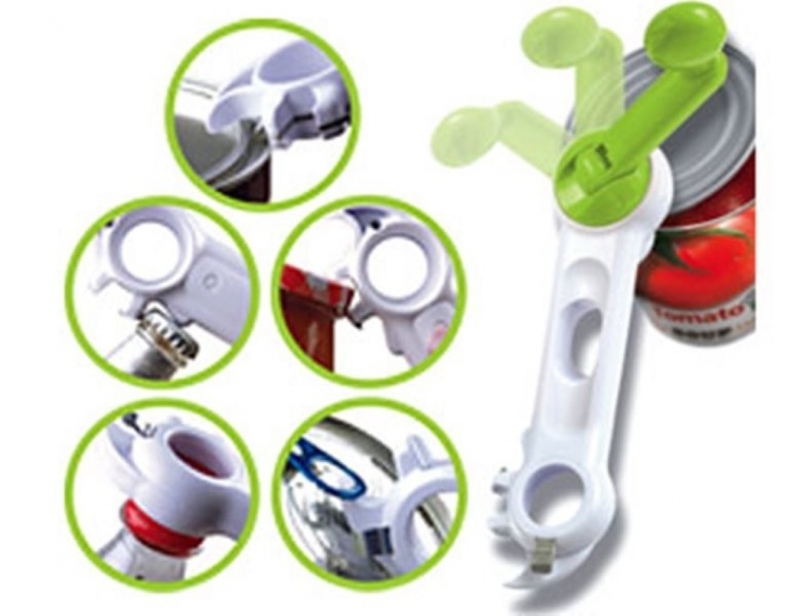 Shogun replaces 6 tools in your kitchen with its all in one revolutionary new design! 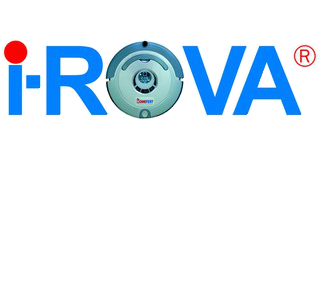 It&apos;s compact to store and is easy to find when you need it!